Have you always wanted to make a delicious, yet simple pasta sauce from really basic ingredients, even though you are not a whiz in the kitchen? Well do I have recipe for you! I reckon that even Stephanie Alexander would probably agree (if she ever read this blog of course). Now, I am going to make this even easier, because all of the ingredients are easy to grow at home in your very own backyard. Even if you don’t have your own veggie patch, then all items can be source at your local green grocer. There are only five main ingredients. Basil, Oregano, Onion, Garlic, and Tomato. The fresher the ingredients are, the better this sauce will taste. 800 gm Fresh or canned Tomatoes. On a medium heat, add about 2 Tablespoons of oil to a large frying pan. Add the onions, and fry until translucent. Add all other ingredients, stir, then cover and simmer for 30 minutes. Season to taste, and serve immediately onto fresh home made pasta! Now that wasn’t too hard, was it? 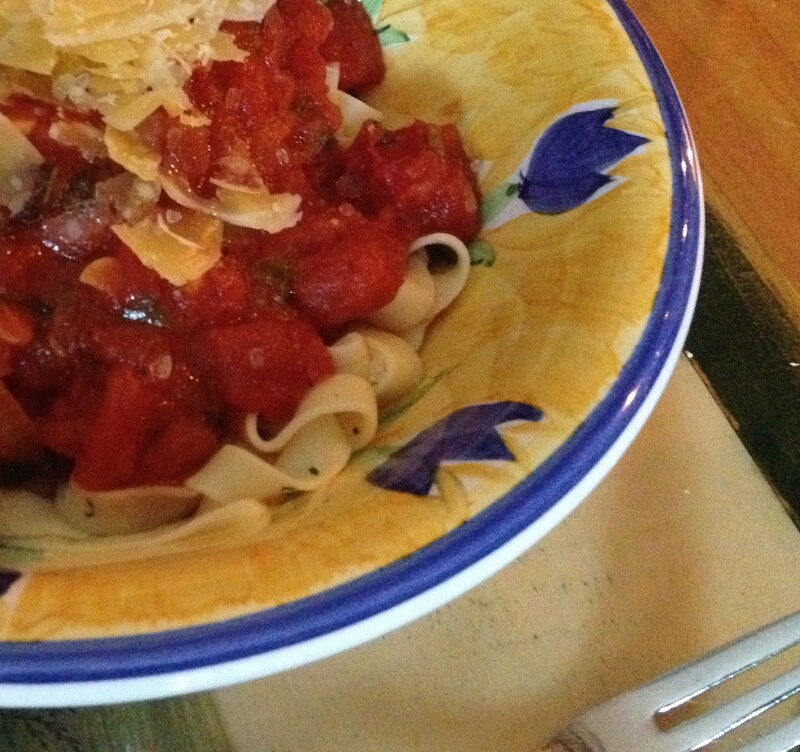 You certainly do not have to be a Master Chef to make this simple pasta sauce. Not only is it delicious, but it is nutritious as well. No artificial anything and straight from the garden. So what can you use this sauce on? Well you could try my home made Ravioli, or home-made Fettuccine, or even my home-made Spaghetti. Really, any pasta will do, even if you haven’t made it yourself. This sauce will enhance any pasta meal. So what do you think of this pasta sauce? Easy or what? During the post titled “How to Make Homemade Pasta Dough“, we learnt a few ways of making a basic pasta dough out of a few simple ingredients. Also, other passionate home made pasta makers chimed in with valuable tips in the comments section of the post to which goes out a big thank you. So on with the next step. Today we are going to take the next step, and make home made ravioli. These little square pillows, which can be filled with all sorts of goodies, are just so easy to make. So lets start where we left off. You will have already made your dough, following the instructions in the pasta dough link, and have it resting in the fridge. Now it is time to make your filling. 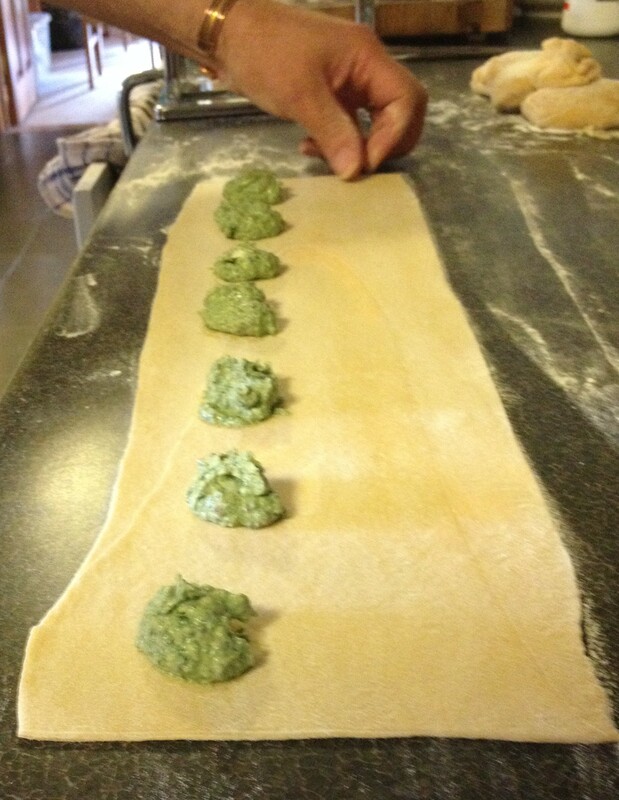 We will start off with one of the easiest and popular fillings for homemade Ravioli which is Spinach and Ricotta. Great for vegetarians and omnivores alike. Now, you don’t necessarily have to use Spinach if you don’t have any in season. 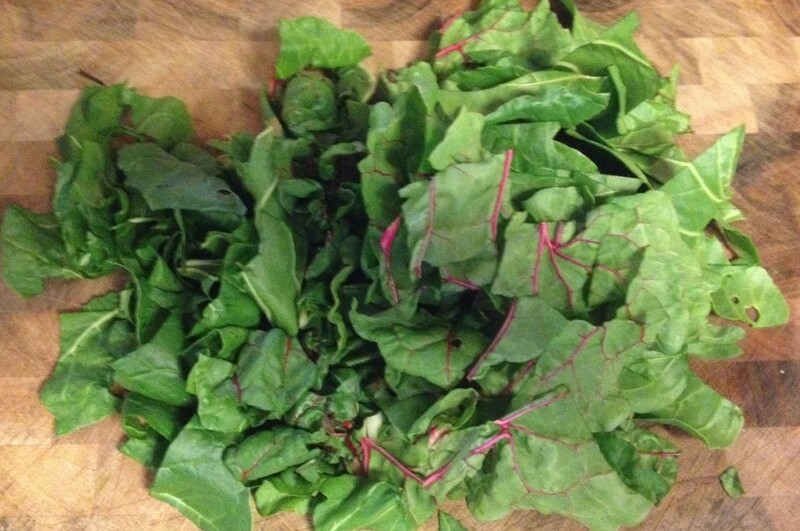 I substituted this winter leafy green with Rainbow Chard, which works equally as well. Even Beetroot leaves will suffice, albeit giving you a slight red/green filling. 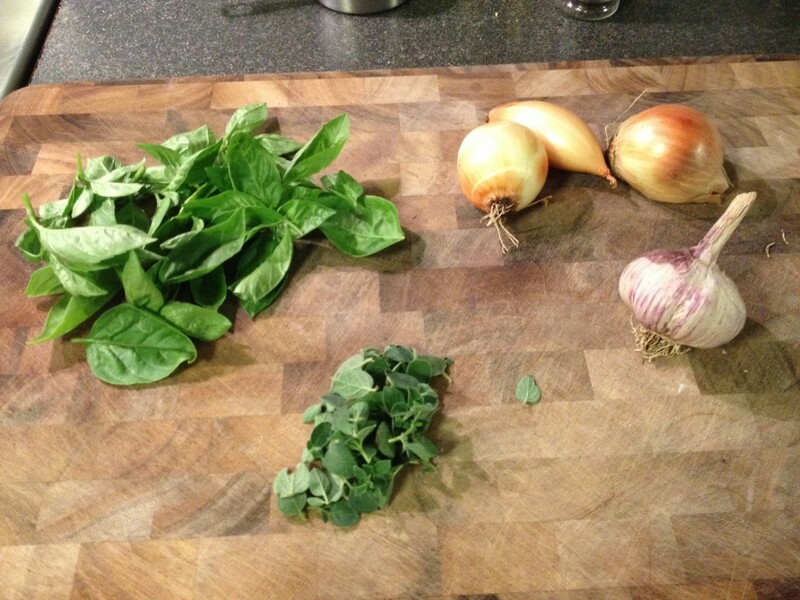 As I was using Rainbow Chard, I removed all of the coarse stems and just left the leaves, then roughly chopped it. 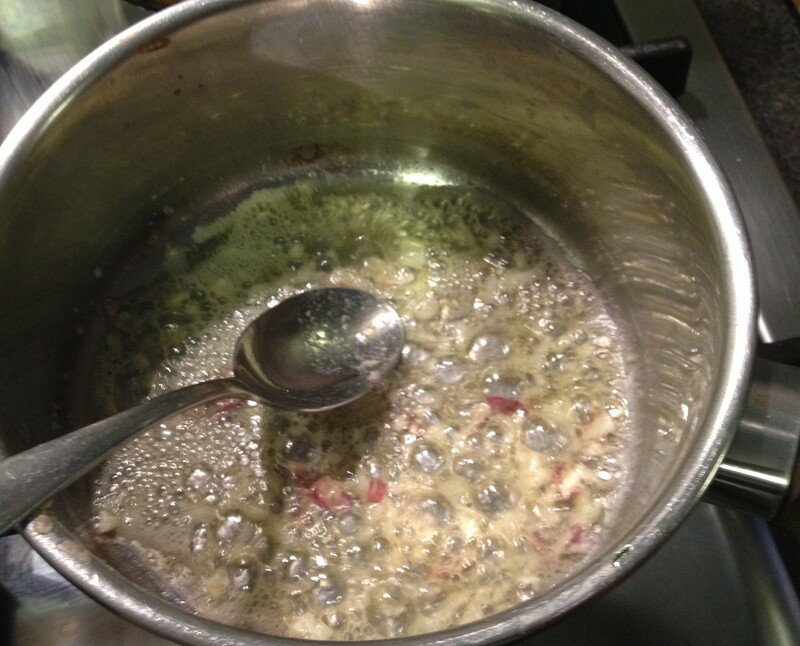 Add the oil, butter, and garlic to a small sauce pan and gently brown the garlic. Then add the greens, stir through, and cover. Reduce to a low heat, and sauté the greens for about 5 minutes until wilted. 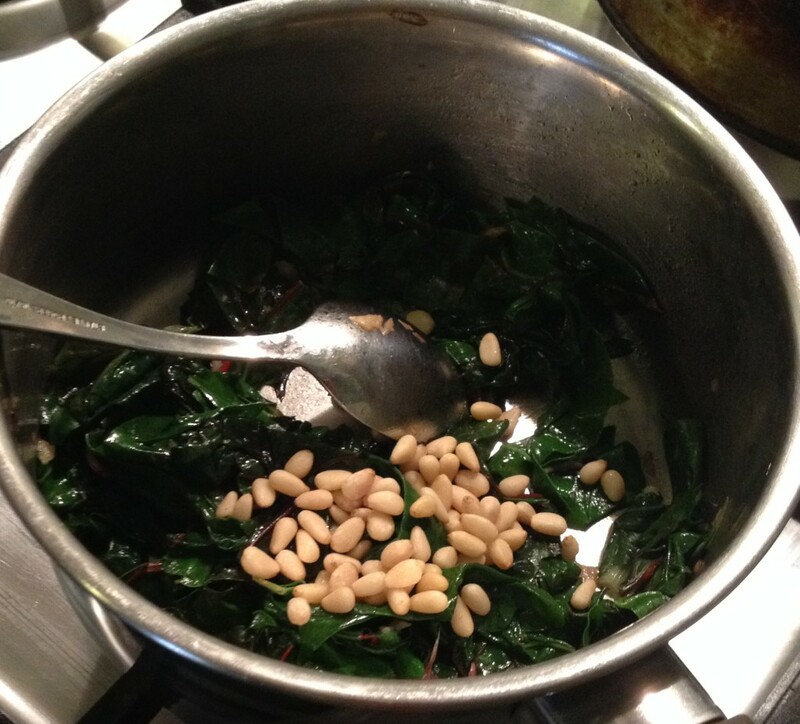 Add the pine nuts and stir through. heat for a further 5 minutes until pine nuts are soft. Turn off the heat, and set aside. 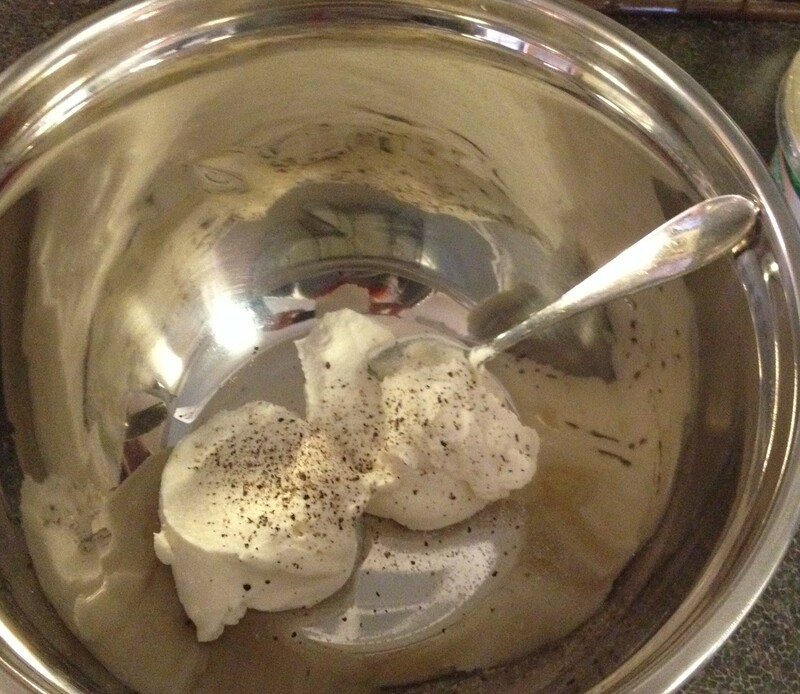 In a separate bowl, add the Ricotta and mix through the nutmeg and season to taste. 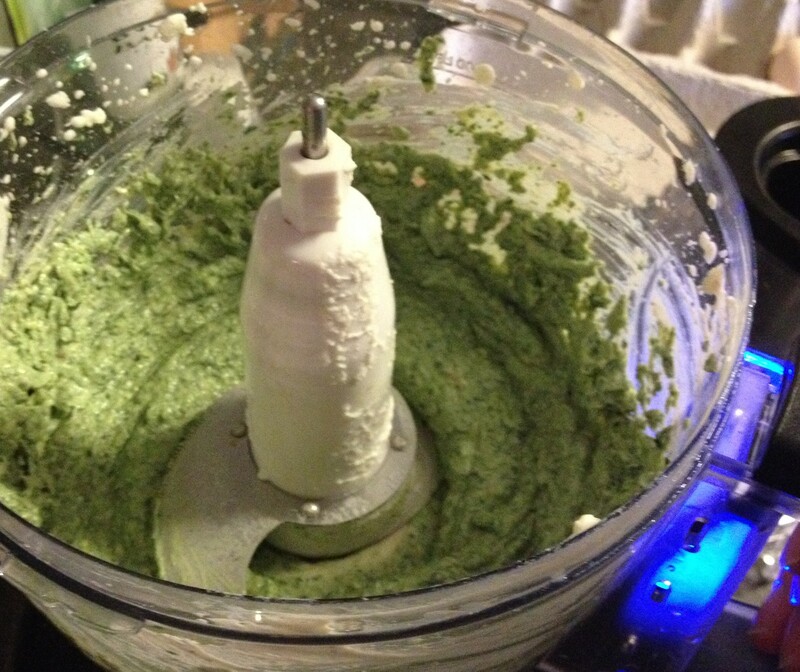 Once seasoned, add the Ricotta and Spinach mixture to a food processor and blend until smooth. Alternatively, you could use a mortar and pestle. The filling just has to be a coarse paste. If you think the filling is a little sloppy, you can add some breadcrumbs to make it a little drier. If it is too dry, then add a little water. You can tell if it is just right when you take a teaspoon full of it and pop it on a plate. If it holds its shape, then it is fine. If it runs, then it is too sloppy and will make your pasta dough soggy. Cover your filling and let cool in the fridge for 30 minutes. 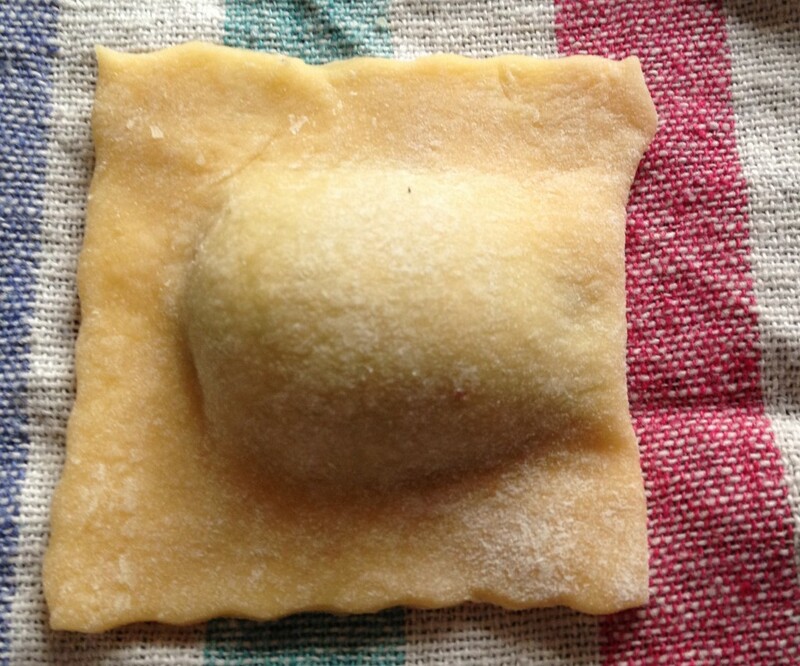 Don’t make your ravioli with warm filling as the dough will not hold its shape. Now the fun part. Roll out your pasta dough on a floured surface. I used the pasta machine, but a rolling pin will suffice. 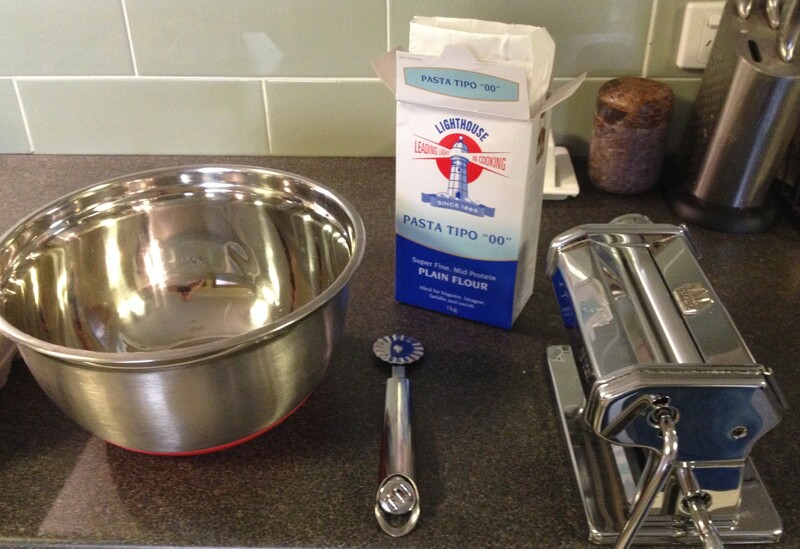 If using a pasta machine, roll the dough through setting #1 for three times to increase pliability, then once on each number until you get to #5. It should look something like this picture below. Take the filling and place a teaspoon of it as a blob about 3 cm apart. Place your fingers between each ball to exclude the air and press firmly. This seals each pillow so that it doesn’t leak when cooking. 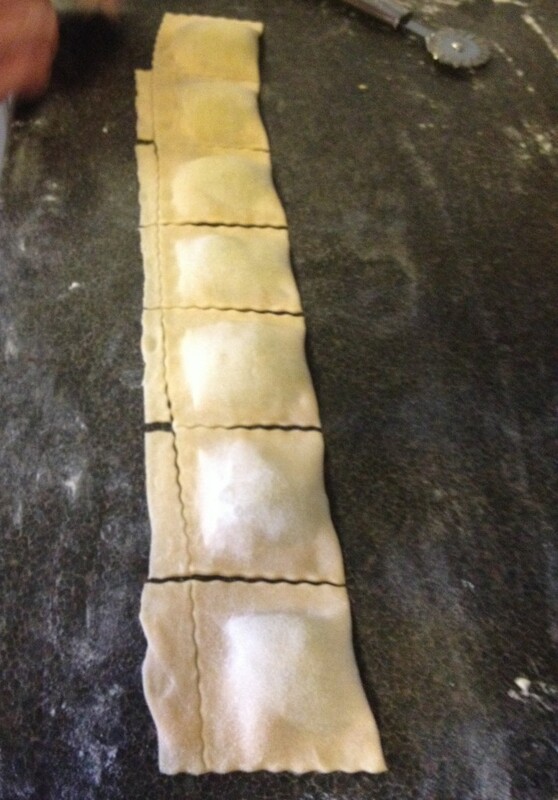 Use a knife or pastry cutter and cut in-between each ravioli. Trim any excess dough for use in the next batch. Once cut, gently peel off the work surface, and place on a clean tea-towel to firm and dry. Flip them over after an hour so that the bottoms don’t go soggy. You will notice that no two ravioli are the same. It adds to the rustic feel of the meal. Keep making more until you run out of dough or filling. The excess dough can be used to make a different pasta, which we will cover in the next tutorial. You may have a ravioli attachment for your pasta machine, however I have found that it just takes too long to make them using it. The ravioli all look the same size and shape, however you really have to keep the filling hopper continuously full or you get half filled pillows. Besides that, it is a pain to clean afterwards. There you go. 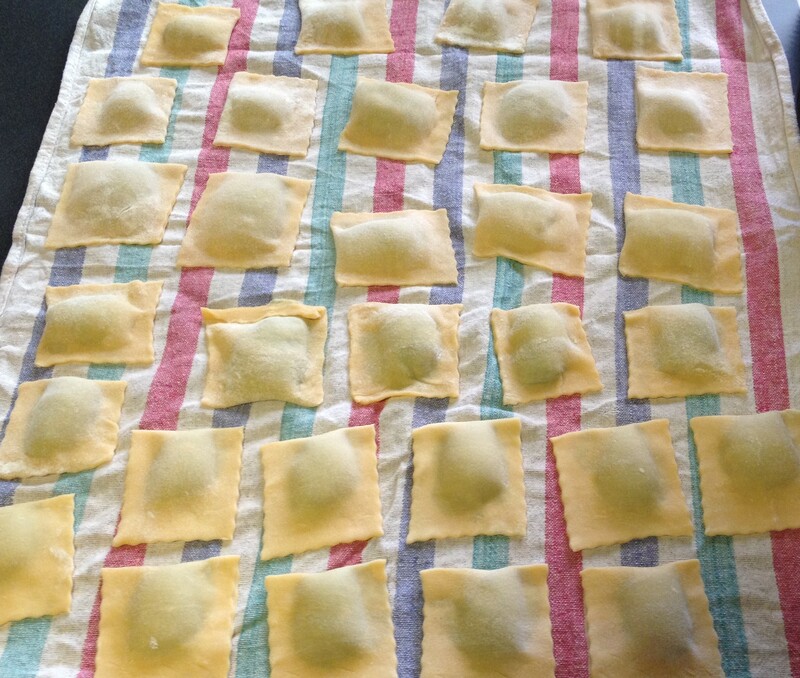 Your very own homemade ravioli, ready to cook or freeze for later consumption. Bring four litres (1 gallon) of water to the boil. Add a Tablespoon of salt, and mix well. Gently place your ravioli into the boiling water, wait for it to return to the boil, then cook for 5 minutes or until al dente. Inevitably, one or two ravioli will leak, but you make heaps, didn’t you? If cooking from frozen, add two minutes to the cooking time. Drain well, then mix through a teaspoon of butter or olive oil to avoid sticking. Serve with a sauce of your choice, and top with shavings of home made Parmesan or Romano cheese. Without a doubt, this is a delicious pasta, made from scratch. Especially if all the ingredients are as fresh as you can get them. A word of warning though. Homemade Ravioli is addictive. Once you have made the first batch, you just want to make and eat more. I realise that there are so many different fillings that you can use, but this basic filling will start you off. Does anyone else use a different method, or filling, in their homemade ravioli? I would help other learn more about this simple pasta. Want to make a delicious home cooked meal that will blow your sock off? 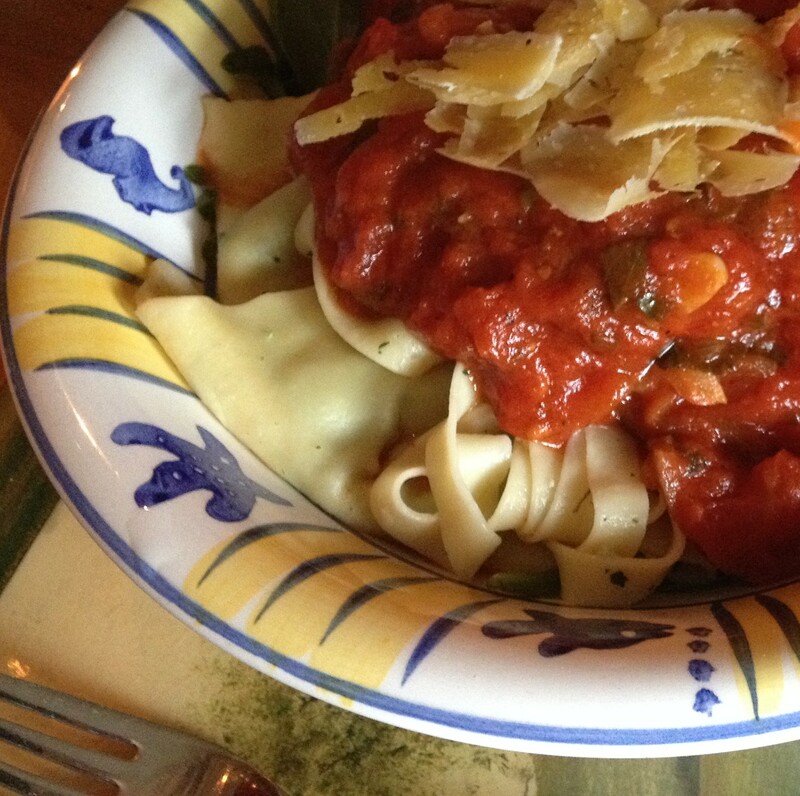 Well, I must say that homemade pasta will certainly impress your dinner guests and light up your taste buds. You will never need to eat that bland dried pasta again after you have eaten fresh homemade pasta. This recipe is so simple, that you will be amazed with the result. So lets learn how to make this very simple meal from scratch. This recipe makes enough pasta dough to feed four people when cooked. Firstly you will need some pasta flour 00. This mid protein flour is especially made for pasta and is available in most supermarkets or bulk stores. You will also need five fresh eggs (preferably from your own backyard chickens), a little olive oil, and a pinch of salt. Measure out 250 gm (8.8 oz) of pasta flour into a large mixing bowl. 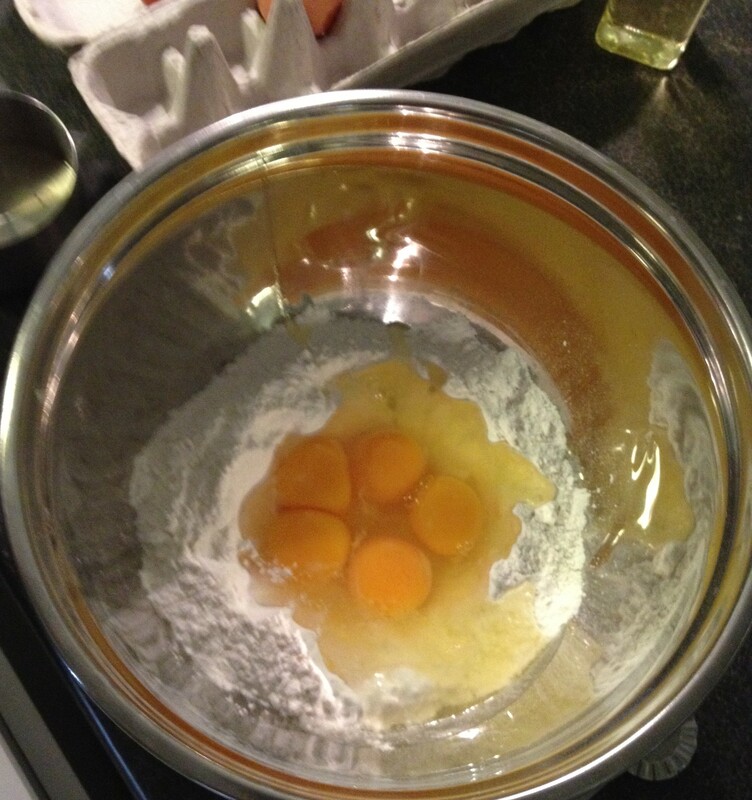 Make a well in the bottom of the flour and crack in three whole eggs and two egg yolks. The two egg yolks increase the richness of the pasta. With a fork, mix the eggs tip yolk and white are combined, then with clean hands, mix the flour into the eggs to form a dough. When roughly mixed, add a splash of olive oil (about one teaspoon), and the pinch of salt. Continue to mix the dough until it is totally combined and elastic. If you think it is a too moist, then add a little more flour and need until it is not so sticky. 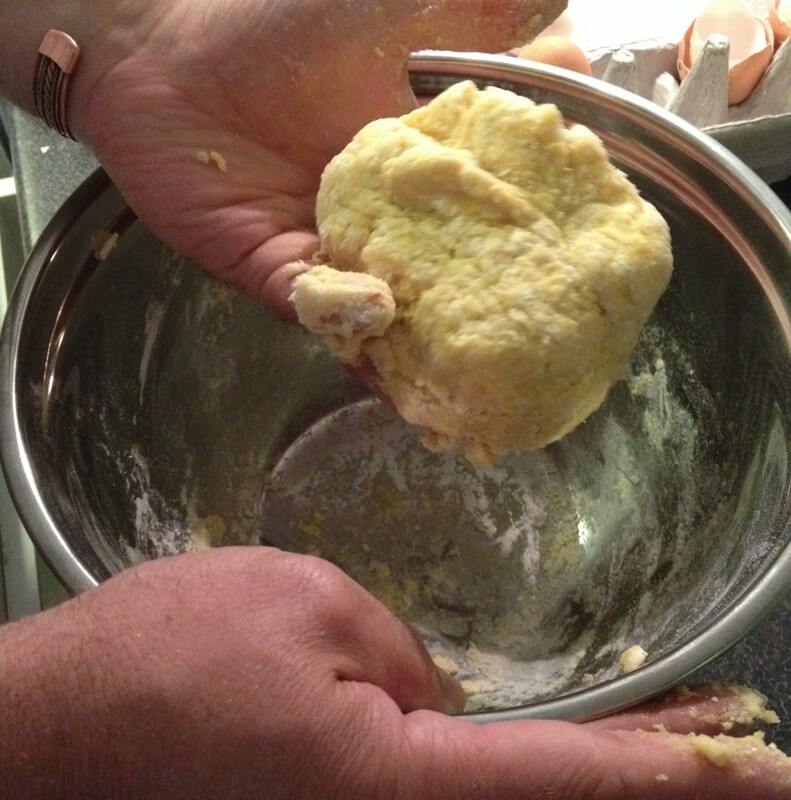 Once you’ve made your dough you need to knead and work it with your hands to develop the gluten in the flour. Otherwise your pasta will be flabby and soft when you cook it, instead of springy and al dente. Once kneaded, transfer to a bowl, cover, and allow to rest in the fridge for at least an hour but two is better. This helps when rolling out the dough. 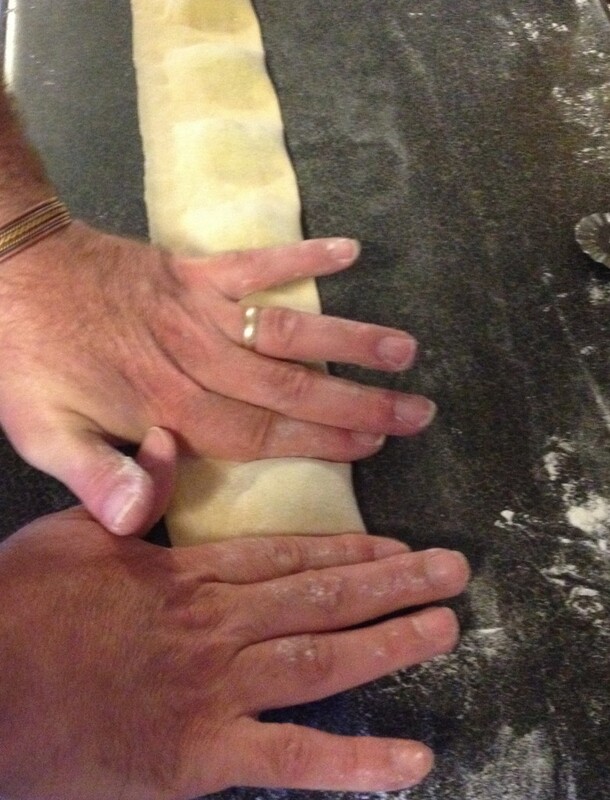 Once rested, roll the dough on a well floured surface with a rolling pin, or run it through a pasta machine at #1 a few times to make the dough pliable. 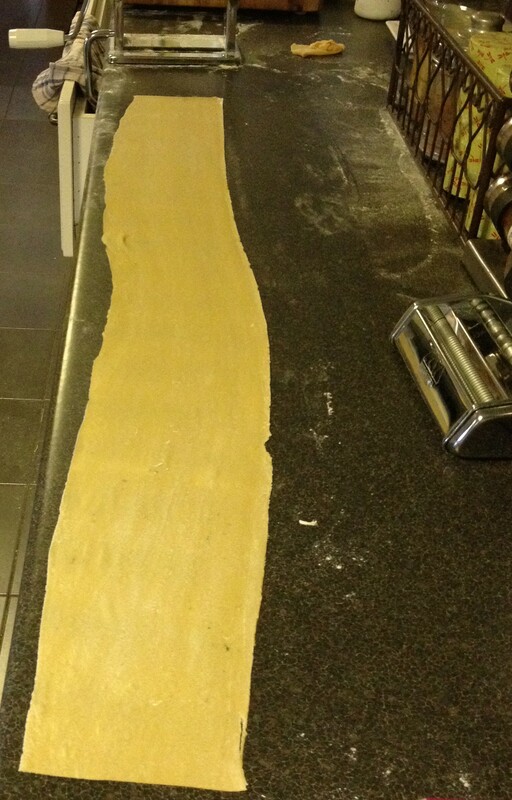 Then you can roll the dough to the required thickness to make your pasta. A good tip is that you can dust a bench top with ordinary plain flour instead of using the more expensive 00 flour. It saves you a bit of money in the long run. To save a bit of money, you can vary the dough by using 250 gm of plain flour ’00’, 250 gm continental flour or semolina, 5 whole eggs and mix initially with a fork and then your hands until it forms a firm dough. This way you get a larger batch of dough, for less cost. To add some colour to your dough, you can also sauté a little spinach or silver beet leaves (no stem) in a teaspoon of oil, and when cool blend it into a paste and add a tablespoon to the dough mixture to give it a green colour. You may need to add a little more flour to compensate for the moisture in the spinach. At this stage, you can just about make any type of pasta you like. What I am going to do over the next couple of days is show you two great ways to use your pasta dough. We are going to make Fresh Spinach and Ricotta Ravioli, and then I am going to show you how to make Fettuccine with a simple tomato based pasta sauce. 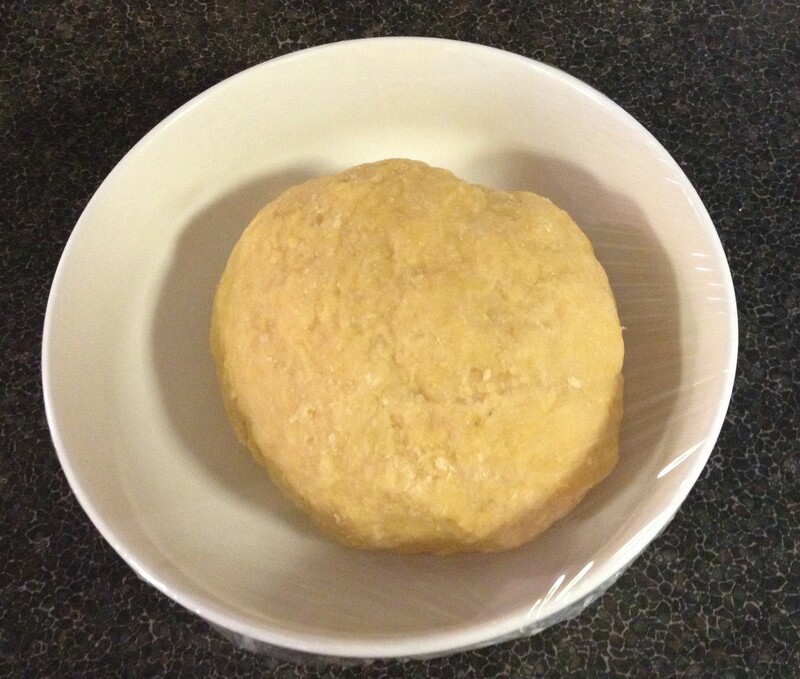 Both are very delicious variations using this very simple to make, homemade pasta dough. Addendum; As a follow up to this post, you could try my home made Ravioli, or home-made Fettuccine, or even my home-made Spaghetti. Who loves to make their own pasta? Do you use a different method with a successful outcome?